← The Great Health Care Debate: Who Receives Acupuncture More, Women or Men? 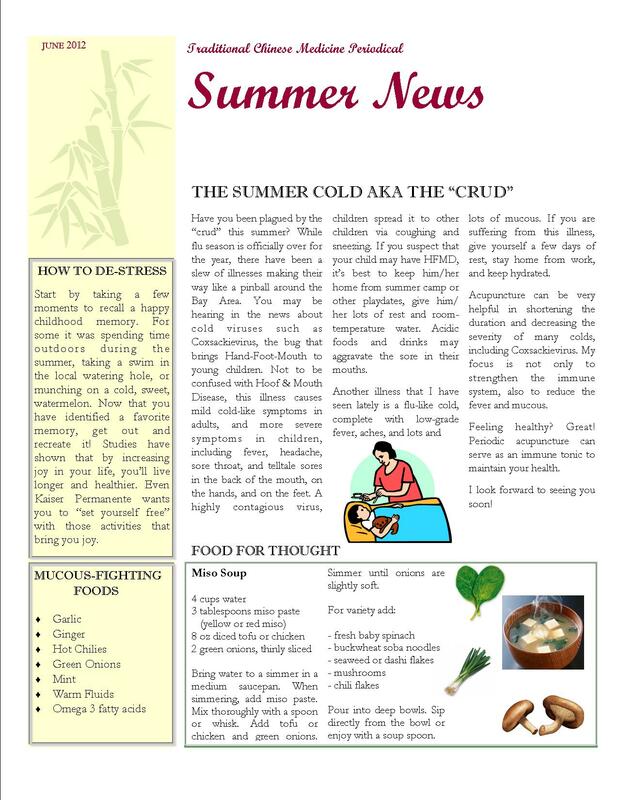 Home » Wellness care » The summer acupuncture newsletter is here! This entry was posted in Wellness care, Whole Family Wellness and tagged Acupuncture, Holly, Traditional Chinese medicine. Bookmark the permalink.